While most of America has come to a screeching halt to watch the Super Bowl today, the rest of the literary world has become embroiled in an all-out frenzy over J.K. Rowling’s recent admission that Ron Weasley and Hermione Granger would not have made the best couple after all in the Harry Potter universe. Now, of course, we shouldn’t make too many conclusions without reading the entire interview, and even then, context is key. Admitting a mistake is not the same as regretting it, and media should remember not to project such emotions on Rowling. That being said….HOLY MOLY, does this shake things up! Good Shippers are probably screaming from rooftops in denial right now. I remember digging through HP internet forums, reading smug comments that Ron and Hermione were perfect for one another, and it was SO obvious, and other shippers were just too stupid to see the truth. 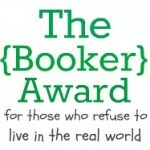 This, of course, begs the question: to what extent do readers respect authorial intent? Many are refusing to accept Rowling’s news, saying that she should sit wrongly in her wrongness because that ship has long since sailed and there’s nothing she can do about it. Others feel vindicated because the Good Ship, however sweet and wish-fulfilling it may be, wasn’t steeped in reality. Rowling suggests that Ron and Hermione would have needed “relationship counseling,” but that’s pretty clear to fans who witnessed their bickering through seven novels. So what do I think? I would take Rowling’s word, no matter the verdict, because it’s her story and I have no right to demand it take a direction it wasn’t meant to take. But I also understand Rowling when she stated that she was clinging to her original plot; sometimes stories evolve, and smart writers need to know when to kill their darlings and sink their ships. I will say, however, that I was doubtful of EVERY ship in the series. Honestly, I felt that the epilogue was completely misguided and unnecessary. It read like bad fanfiction, and this is coming from someone who read A LOT of Harry Potter fanfiction. Apparently, the Good Ship wasn’t as good as everyone thought. But what of the other options? Harry and Hermione were better suited for each other, but I could sense a more familial relationship than a romantic one. Harry and Luna connected on a morbid level of death and suffering, but let’s face it, her loopiness would sabotage any long-term success. 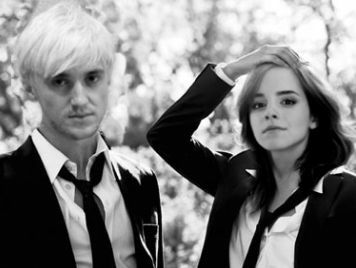 Then there are the ships you just love to love: Hermione/Draco, Hermione/Luna, Harry/Draco, Hermione/Snape, Remus/Sirius. Think I’m crazy? So is the whole world of fanfic! The point of these statistics is to show that people will ship literally anything and anyone, so it’s best not to take any ship too seriously. What is serious is how devoted HP fans are to their fandom. Many might think it silly to argue over the potential romances of fictional characters. But for my generation who grew up with Harry and friends, the books are more than just words on pages. They inspired an entire generation of children to fall in love with reading. They created a wonderful community that still stirs up lively discussion over six years after the series ended. If you never joined this bandwagon, then I’ll be honest and say that I feel sorry for you. It’s easy to resist hype for the sake of being hype, but being involved in the Harry Potter zeitgeist is something that I wouldn’t trade for the world. You can call them mere children’s books and nothing compared to “real literature,” but you missed out on one of the most impactful literary experiences of our time. Harry Potter taught millions of people to hold fast to their friends, fight for what is right instead of what it is easy, and love one another whether Pureblood or Muggle. And most importantly, to believe in the magic of both the world and the written word. So call me biased or dogmatic, but I’m proud of being a bookworm and I will defend the merits of this series until the end. The members of Dumbledore’s army can be the most strong-willed, opinionated people on earth–and after all the midnight book release parties, movie premieres, and forum trolling, I can say that you won’t find better company. 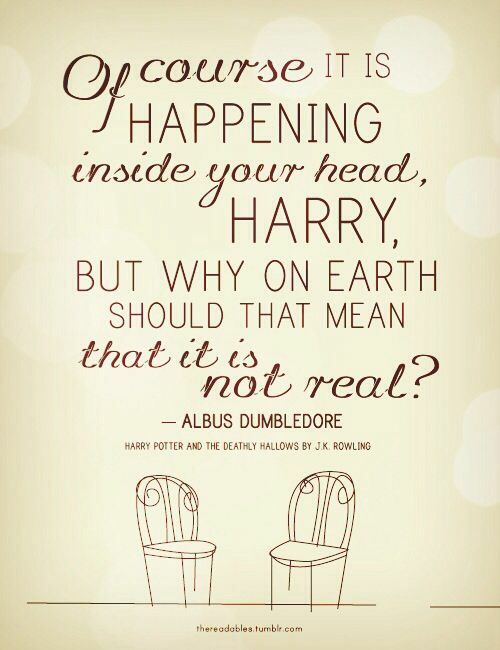 So sail on, HP shippers! And let’s keep our fingers crossed for the only announcement from Rowling I really care about: a future prequel starring the Marauders! Don’t forget to share your thoughts on this news! What are your favorite ships, and why? 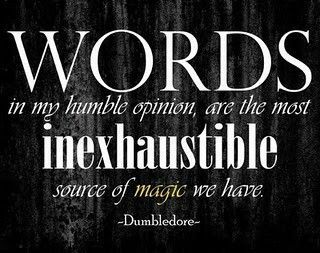 And if you could address all the haters out there, what would you say to them about what Harry Potter means to you as a fan? I feel like it’s the end of an era, because I finally finished the Artemis Fowl series by Eoin Colfer. I reviewed the penultimate novel, The Atlantis Complex, last year, and I’m pleased to say that the finale was much better. 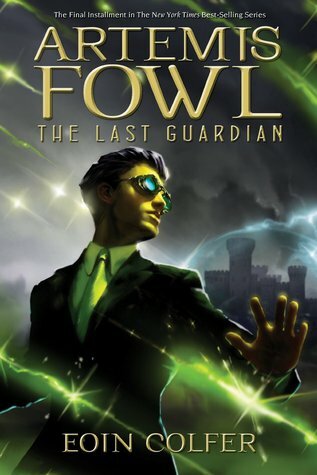 If you haven’t heard of Artemis Fowl, let me bring you up to speed. Artemis is a boy genius with unsurpassed intellect, upscale taste in designer suits and classical music, and an obsession with increasing his already massive family fortune. His penchant for illicit scheming makes him many enemies, but he’s always shadowed by his best friend/bodyguard Butler. 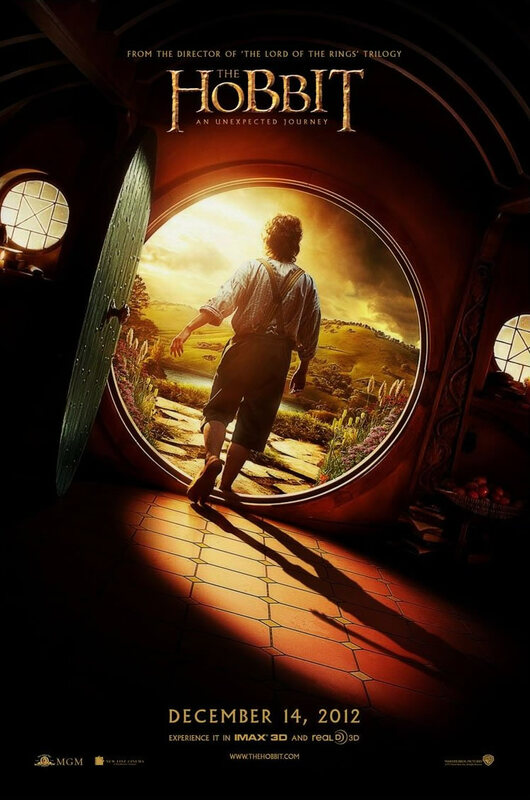 The book series covers his life from ages 12-15, starting when he kidnaps an elf military officer named Holly Short to gain access to fairy gold to the present novel in which he puts aside his greed to save humanity. After seven books, Artemis and Holly are close comrades, and together with centaur techie Foaly and conniving dwarf Mulch Diggums, they must once again band together to stop the series’ pixie villain Opal Koboi. 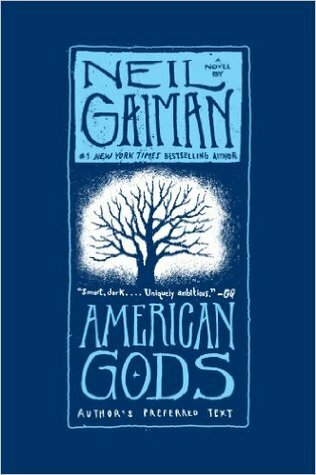 It’s interesting to see an author’s writing style evolve over the course of a saga, and at times I felt Colfer inserted too much politics in regards to climate change or animal species preservation. The Atlantis Complex did not feel true to the series when Artemis became an obnoxious schizophrenic. Reading that novel, I was worried that Colfer had lost his magic. But it came back full force in The Last Guardian. As Opal used time travel to thwart the LEP, I too felt like my younger self, literally laughing out loud at the many jokes that made the series so fun when I was in middle school. Being entertained by Mulch’s flatulence might seem juvenile, but with Artemis and friends battling an army of possessed crickets and ducks, how could you not chuckle? Harry Potter fans will most likely draw similarities between the two supernatural stories, especially at the end of The Last Guardian. Artemis must make a sacrifice like Harry, but I won’t give away the details. I’ll just say that you walk away with that sad, yet satisfied feeling of fulfillment. I only wish there could have been more romance between Artemis and Holly! Is that weird? 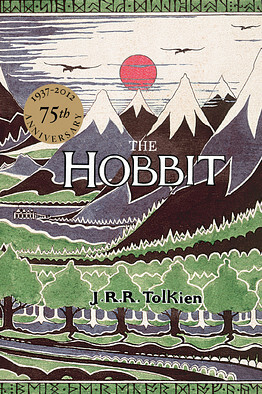 I know that love blossoming between a teenage human boy and a three-foot-tall, 80-year-old elf would be far-fetched, but readers of the series know just how close they’ve become over the years. And in my opinion, nothing Artemis does can be considered normal or average, so I wouldn’t expect his love life to be either. Lack of love story aside, reading Artemis Fowl has been a wonderful ride, and I would recommend the tale to anybody. Don’t wait until the movie comes out, because after eight years of conflicts, ranging from financial disputes between Disney and the Weinstein Company to the creative decision between CGI and live-action, the project has been shelved as of last year. The odds of seeing Artemis on-screen soon are slim, but at least you have time to catch up reading!